Sometimes when you arrive somewhere you can get an instantly good feeling for a place. For example when I got to Agra I knew it was rubbish, when I got to Manali I knew I’d enjoy it and when I cruised in to Mumbai at 6am last Monday morning I got a rush of excitement. I was back in a big city I’d heard mixed reviews of. Some loved the western style apartment complexes and AC cinemas, others hated the non-Indianness of the place and the street hassle. I thought it would be a combination of the hecticness of Delhi and the coolness of Kolkata. 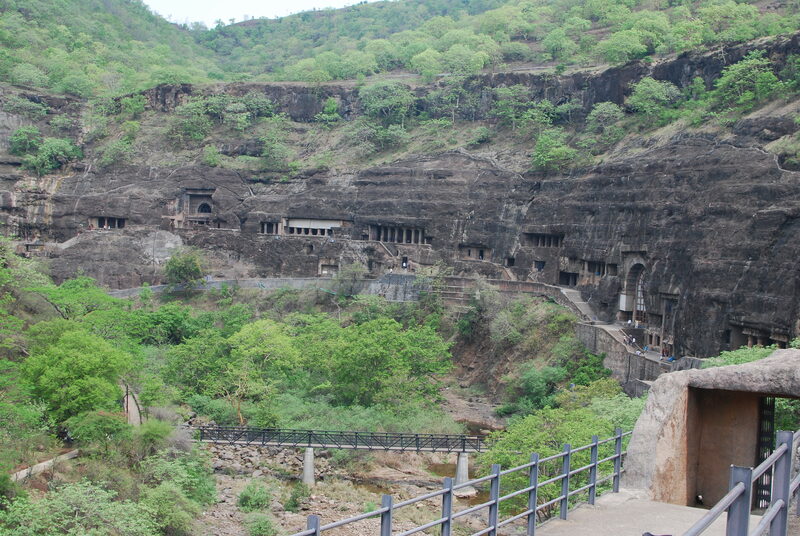 One of India’s most exquisite anthropogenic sites is based 60km from a crappy town called Jalgaon in Maharashtra state. This was a good 16 hour train ride from Agra and on the way south where I need to be heading for my July 8th departure out of India. It seemed like a logical stepping stone on the tourist trail and a way of escaping the hustlers of Agra. After an average train sleep on the top bunk, I stepped off in the one street town of Jalgaon pretty weary. After surveying the scene I decided not to stay a night but checked in to a dorm anyway so I could use the facilities for the day and catch up on some sleep in the afternoon. 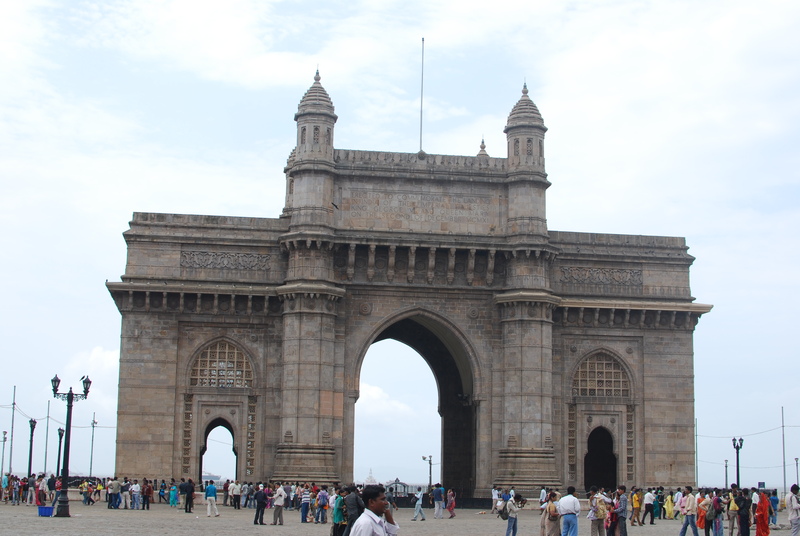 I bought my bus ticket out of there for that evening to Mumbai, had a cold water bucket shower and started the mission to get to the Ajanta caves. A rickshaw, a local bus for an hour and a half and then after walking through a crappy tourist shopping complex, another bus for the last 4km.